Add/Update Barcode Value - Adds a new barcode value or updates one if it already exists. 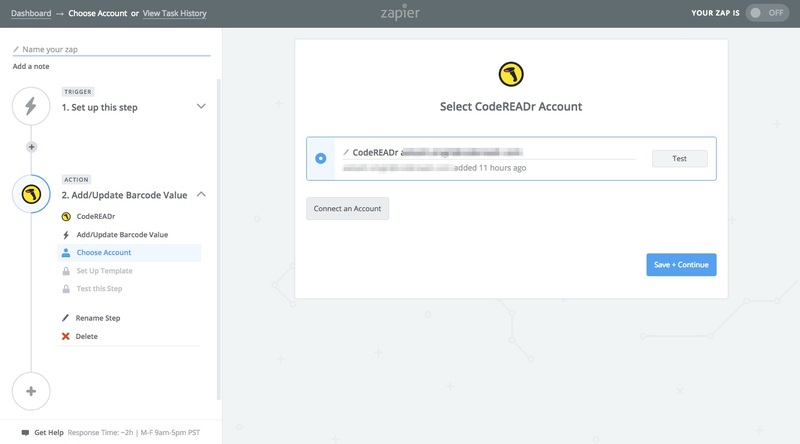 When you start creating a CodeREADr Zap, you will be asked to connect your CodeREADr account. Next, you'll be asked to enter your CodeREADr API key. Log into your app account. Click "Account" from the Top Menu. Copy the alphanumeric key under API Key heading. 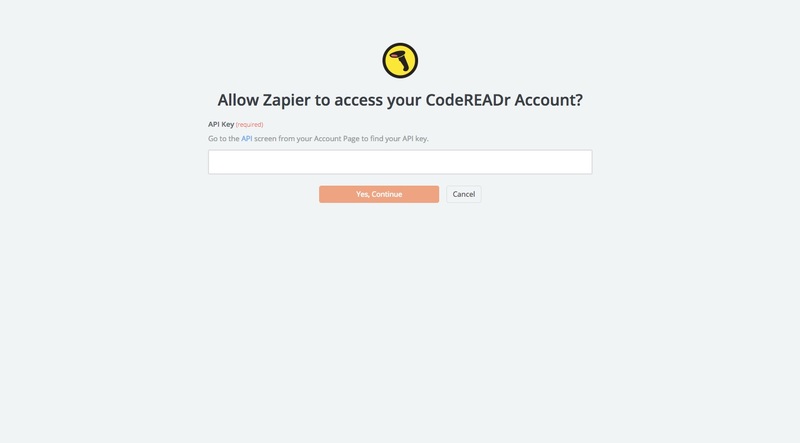 Or you can go to this link (https://secure.codereadr.com/account/api/) directly after logging in. Please note that the API key is available only for Paid users. 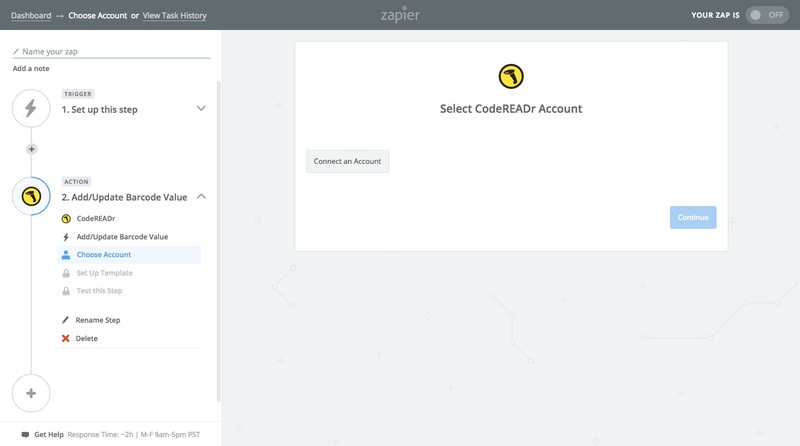 If all steps were successful your CodeREADr account will now be successfully connected. To get API access, one will require at least 1 Device Plan with 30 API calls per minute which costs around $9.99 You can go through our Plans in the url given below. Every plan has a limit which ranges from 30 to 180 API calls per minute. Also, one can opt for custom plans where number of API calls can be set according to the user's requirement.